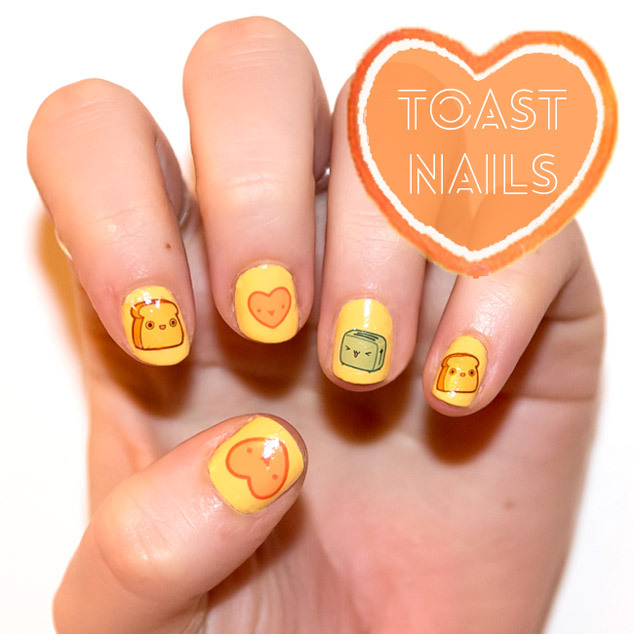 How cute are these nail decals from YRNails? I spotted them on Amazon and thought I would have to have a go with them at that price. They have plenty of other designs that I also thought were fantastic. Nail Decals are quite different from nail stickers, like the Minnie Mouse Nail Stickers I wrote about, they feel less like a sticker and more natural like a transfer. There are less chances for them to leave bumps and ridges or to tear and they don’t look fake. With these nail decals you get 23 in varying different sizes so you can get at least 2 full nail manicure sets from this. To use the decals I first painted my nails with the MUA Love Heart U&I Polish. Its a bright, sunny yellow that goes well with the spring season and the happy nail designs. The decals are semi transparent so you will need a fairly light colour. Have the nail designs cut out roughly, prepare a small pot of water and have tweezers handy. Soak the nail designs one at a time in the water being held by the tweezers for 30 seconds. Remove from the water and slide the nail design from the white backing paper. Position the design onto nail, smooth down with your finger and press into place to remove bumps or trapped air. If there is a lot of excess trim this with nail scissors. I then applied my top coat as usual, the Maybelline Forever Strong Crystal Clear. For such a cheap product I was so impressed with the results of the Nail Decals and how easy they were to apply. I think they are so effective and can’t wait to use them more. 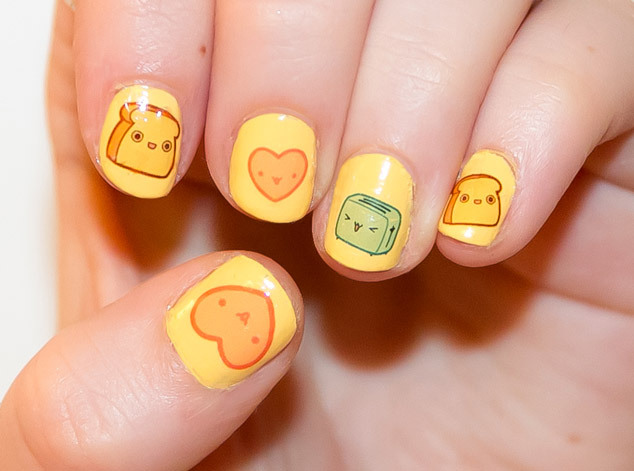 Have you tried Nail Decals ?